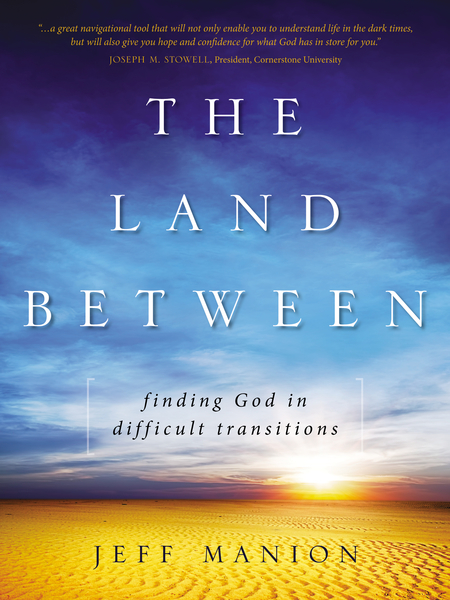 In this Ebook edition of The Land Between, author Jeff Manion uses the biblical story of the Israelites’ journey through Sinai desert as a metaphor for being in undesired, transitional space. After enduring generations of slavery in Egypt, the descendants of Jacob travel through the desert (the land between) toward their new home in Canaan. They crave the food of their former home in Egypt and despise their present environment. They are unable to go back and incapable of moving forward. The Land Between explores the way in which the Israelites’ reactions can provide insight and guidance on how to respond to God during our own seasons of difficult transition. It also provides fresh biblical insight for people traveling through undesired transitions—foreclosure, unemployment, parents in declining health, post-graduate uncertainty, business failure—who are looking for hope, guidance, and encouragement. While it is possible to move through transitions and learn little, they provide our greatest opportunity for spiritual growth. God desires to meet us in our chaos and emotional upheaval, and he intends for us to encounter his goodness and provision during these upsetting seasons.